I have a story to share about the problem controlling healthcare cost. Yesterday, I received a call from my son’s school nurse telling me that he had been accidentally kicked in the face during PE class. She was worried that he might have broken his nose and might have a concussion. So on the way to pick him up, I called his pediatrician. I spoke to the front desk and explained the situation. Her response was that their office couldn’t do anything for him and I should take him to the emergency room and have them take an x-ray and do an MRI. We have a high-deductible health plan (HDHP) so healthcare expenses get paid out-of-pocket first until we reach a pretty high deductible (a couple of thousand dollars). My guess is that these procedures plus an ER visit would have cost us $1500 at least. To be honest, I felt like the advice seemed a little overkill. I guess she could sense my apprehension and asked if I wanted the doctor to call me back later. Of course, I said yes. Then I went to pick up my son. He looked a little shaky. His nose was swollen. He had a headache. The nurse gave me a pamphlet outlining how I should take care of him. It was mostly about resting and avoiding any strenuous activity – seems pretty obvious. Later in the day, I heard back from the pediatrician. He listened to me and then said that while he might have a minor concussion, there’s not much that they would do other than what it described on the care pamphlet. And if he happened to have a broken nose, again there wasn’t much they would do until the swelling went down. At that point, they could decide if he needed surgery to straighten it out. When I mentioned that his office had told me earlier that I should go to the ER and have an x-ray and MRI, he said that wasn’t necessary for the reasons mentioned above. My problem with this whole encounter is had I followed the advice given to me by my pediatrician’s office when I first called them, I would have spent a large amount of money for something that wouldn’t have helped my son and that the pediatrician himself later said we didn’t need. Do High Deductible Health Plans Control Healthcare Cost? Maybe I am more sensitive to this because I have a HDHP. For those not familiar, the HDHPs were created a number of years ago. They were touted as a way to control the ever-escalating healthcare cost problem by putting the consumer in more control and having greater responsibility for spending money on healthcare services. The plans still provide coverage for catastrophic care (i.e., major illness, car accident, etc.) and they typically pay for preventative care. But for everything in between, the consumer pays for the care themselves. Employers have embraced these plans primarily because the premiums are significantly less than premiums for PPOs and HMOs. And in fact, the premiums are so low, many employers also provide $1000 to help cover the cost of the high deductible. In that we have a HDHP and because I have been in healthcare finance for a long time, I have learned to be skeptical and question things when it comes to healthcare cost. But for the average person on a PPO, their out-of-pocket costs for all the recommended care might be $100. And not that my child isn’t worth the $1500 it would have cost me, but if the fee was only going to be $100, I very well might have gone ahead. But this is the problem. The cost to do an MRI and an x-ray probably isn’t $1500 but it’s not $100 either. They are expensive machines run by highly trained medical staff and there’s a cost for that. And due to litigation concerns and being overworked, some in the medical community seem to have an initial reaction to overtreat everything. It’s much better to order a test that is later determined to be unnecessary than to not order a test that is later determined should have been ordered. 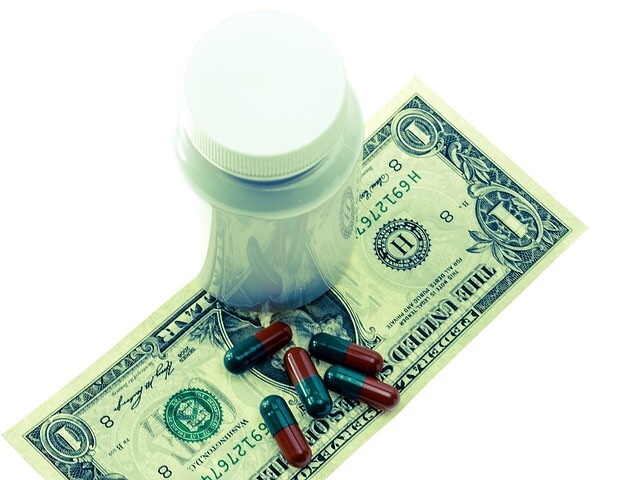 The HDHPs are bringing patients more into the healthcare cost loop. With an HDHP, patients have economic skin in the game, at least up to a certain level. But until medical professionals start thinking in terms of cost / benefit, I’m not sure we’re going to see any improvements in the healthcare cost problem. And by the way, it turns out my son is just fine. A little very mild bruising is all. Nothing unusual in the life of a kid. What do you think? How do we incorporate cost/benefit reasoning into healthcare decisions which are so personal by their very nature? Previous Post: « Private School Worth It, or Not? Health is one of the most fundamentally important things, we’re not experts so we rely on our doctors so we do what they think is best. Yet for whatever reason, being overcautious or some other reason, we can spend $100s or $1000s for no reason. But I suppose if they didn’t do those tests, and something did go wrong, then it’d be their fault. So maybe they are covering their asses as much as the patient’s? CYA is as big a part as anything. At least in the US, everything has become so litigious, doctors have to factor that into the decision-making. The other cost driver is the separation between user (patient) and payer (insurance). Unlike a payment model where the end user pays for the service (i.e., repairs on your car), in healthcare the patient who makes the decisions (along with their doctor) doesn’t pay for the service. In the U.S. healthcare utilization is essentially free to the insured. Very true, we do tend to be over cautious and get all tests and treatments recommended by our doctors – because they know best and we don’t, right? Regarding the high deductible plans, I have been amazed just how easy it is to hit the deduction limit, and even the out of pocket max for that matter. As for high deductible plans making us limit our spending, it can also go the other way. Once the deductible has been met it’s very easy to feel that all treatment is now covered, so let’s use it! Traditionally, we haven’t spent much on healthcare so we tend not to get near the deductible; but, I can see how when you hit the deductible, essentially the HDHP becomes like any other plan – free healthcare. And it’s not just the patients that see it that way – it’s also the doctors. When my father enrolled in Medicare and went to the doctor for a physical, they ran test after test on him. He was perfectly healthy, but Medicare was reimbursing for a whole battery of tests, so why no run them all on him? I say that health care is a money machine… Full stop. Just look at hospitals quoted in the market stock; massive margin of profits. There aren’t any doubt doctors working in private hospitals are trained to upsell. My father had a bike accident and went to one of the best private hospital in the area with a scarf on his head and a shoulder slightly damage. They stitched his head and nothing for the shoulder. On the second day, the doctor told me would be better to do an operation in the head because he saw the skull slightly fracture. The operation room was ready for US$ 9.000. I told my father the happening. He let me know that 30 years ago, he had the skull fracture in the same place. I told the doctor and refused his offer. The doctor was sad indeed. After 5 days we left the hospital with a bill of US$10.000 that the insurance picks it up to pay. The best part was that the doctor neglected the shoulder, and now my father should go for an operation to fix it, when, back then was a mere matter to WRAP it up..
BE AWARE OF DOCTORS AND PRIVATE HOSPITALS. I’m going to do a research about health insurance to find out if it is worth to have one or it’s better to invest the money in an ETF account for the long term and when needed the money for hospitalization, take from the found. Unfortunately, I don’t think your story is all that uncommon. But I would be careful about going uninsured. With insurance, not only do you get coverage (at least for catastrophic care), but you also get access to prenegotiated contract rates which are usually 40 to 60% less than the full charged amount that you would pay without insurance. And in the US, under ObamaCare, insurance is mandatory or you’re pay a penalty when you file your taxes.